We celebrate the very first publication from the Gandhāra Connections project, a three-year initiative by the Classical Art Research Centre, Oxford University, supported by the Bagri Foundation and the Neil Kreitman Foundation. 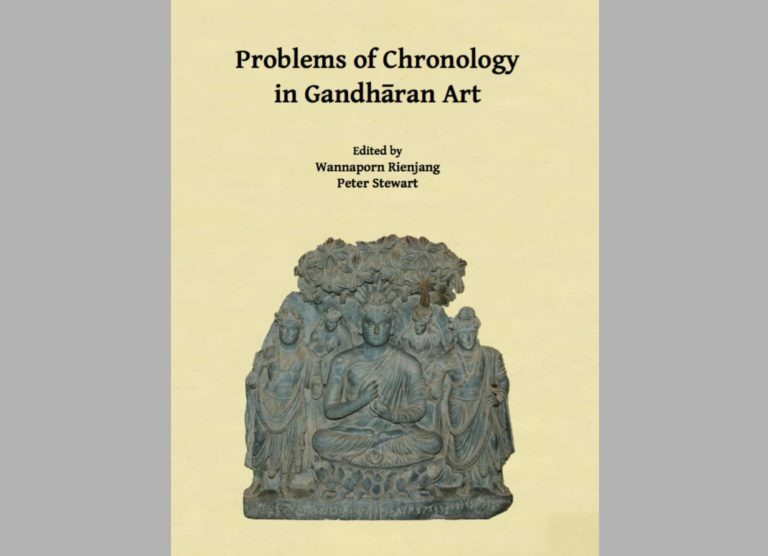 Problems of Chronology in Gandhāran Art presents the proceedings of the first of three international workshops on fundamental questions in the study of Gandhāran art, held at Oxford in March 2017. It is the Classical Art Research Centre’s first free, online ebook, issued under a Creative Commons Attribution-NonCommercial-NoDerivatives 4.0 International Licence. It is also available to buy in print from Archaeopress, priced £32.00. Since the beginning of Gandhāran studies in the nineteenth century, chronology has been one of the most significant challenges to the understanding of Gandhāran art. Many other ancient societies, including those of Greece and Rome, have left a wealth of textual sources which have put their fundamental chronological frameworks beyond doubt. In the absence of such sources on a similar scale, even the historical eras cited on inscribed Gandhāran works of art have been hard to place. Few sculptures have such inscriptions and the majority lack any record of find-spot or even general provenance. Those known to have been found at particular sites were sometimes moved and reused in antiquity. Consequently, the provisional dates assigned to extant Gandhāran sculptures have sometimes differed by centuries, while the narrative of artistic development remains doubtful and inconsistent. Building upon the most recent, cross-disciplinary research, debate and excavation, this volume reinforces a new consensus about the chronology of Gandhāra, bringing the history of Gandhāran art into sharper focus than ever. By considering this tradition in its wider context, alongside contemporary Indian art and subsequent developments in Central Asia, the authors also open up fresh questions and problems which a new phase of research will need to address. Is it appropriate to ask a celestial lady’s age? To download the book for free, please find all the information on the Classical Art Research Centre webpage here. The second international workshop took place this March (22-23), and a similar publication of this research will be available next year. We will keep you posted!